Please feel free to print off our flyers or posters, either to keep for your own reference or to display in any public place (please get permission first!). Please click on an image or the text to open the full-size version for printing. Print off and keep the TICKS rule for safe babywearing. 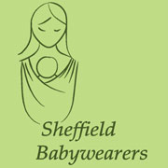 Babywearing International have put together a fact sheet to explain babywearing and its benefits. Download it here and feel free to distribute it!